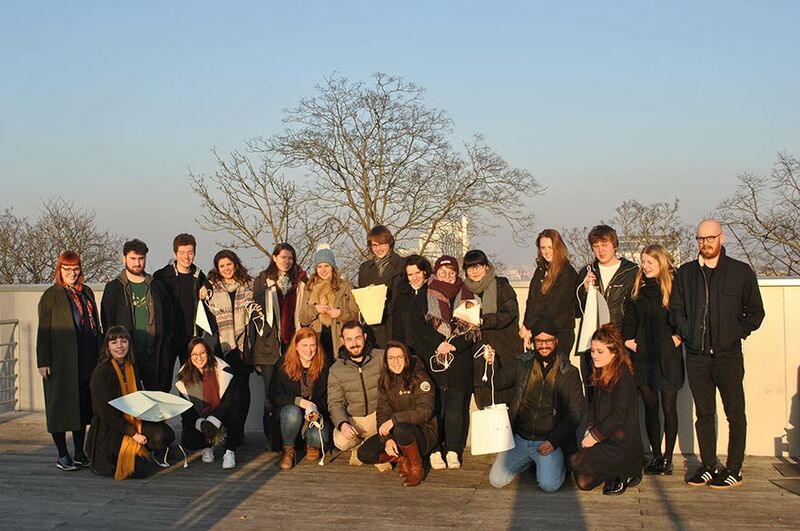 Earlier this year, 55 undergraduate and postgraduate Furniture and Product Design students and four academic staff from Nottingham Trent University (NTU) explored the historic sights of Paris during the international design fair Maison&Objet. 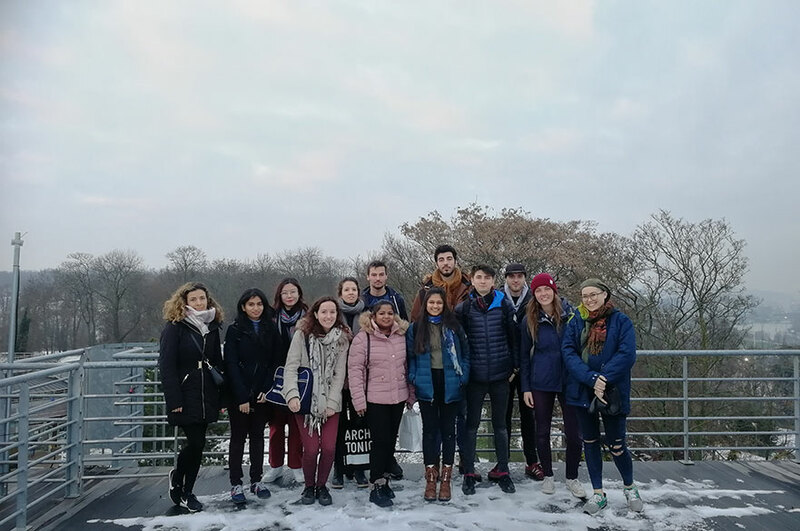 Their trip involved visits to famous landmarks, museums, galleries and shops, where they soaked up French culture, lifestyle, and contemporary trends in design. A number of NTU and Strate product design students also had the opportunity to attend a two-day collaborative furniture design workshop. The workshop, entitled ‘Bend / Fold / Crease’, was organised by Grant Baker, NTU’s MA Furniture and Product Design Course Leader. Students were challenged to work in pairs or groups of three to design a piece of contemporary lighting for the homeware market. Year Two BA (Hons) Furniture and Product Design students, Boyi Zhou and Nicola Murphy, teamed up with Strate students Aude Watremez and Gwyndal Creau respectively to produce innovative lighting designs. Nicola added: “Our design was created for people with small living spaces; I was inspired by our class trip to Maison&Objet, and over the two days, Gwyndal and I made many sketch models to portray the idea. It was a great opportunity working with someone I had never met before, and it was interesting to learn about how they worked, and to balance both our styles. Boyi and Nicola’s creations were selected and exhibited at Light Night 2017, an exhibition celebrating lighting and furniture design by NTU students, staff, and alumni, Strate Design School, and The Carlton Academy, as part of the city-wide annual Light Night event. 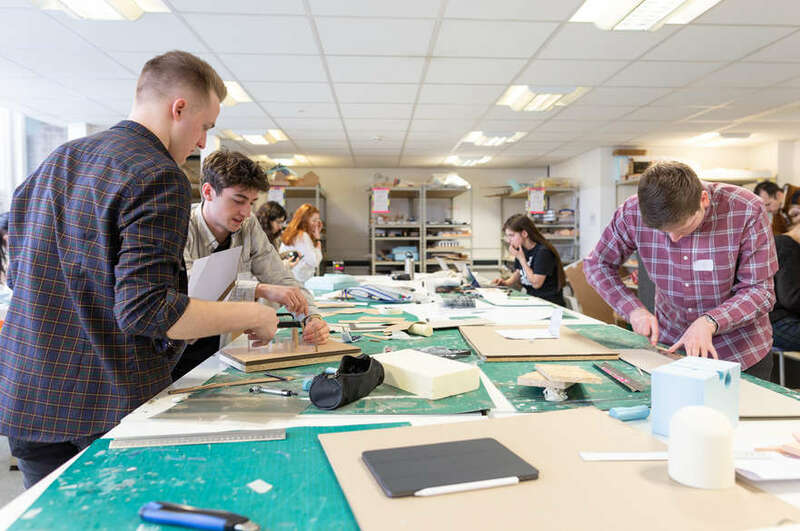 Dr Rebecca Gamble, BA (Hons) Furniture and Product Design Course Leader commented: “Our collaboration with Strate Design School in Paris developed after we visited their exhibition last May, and it is something that they and we are keen to build upon.